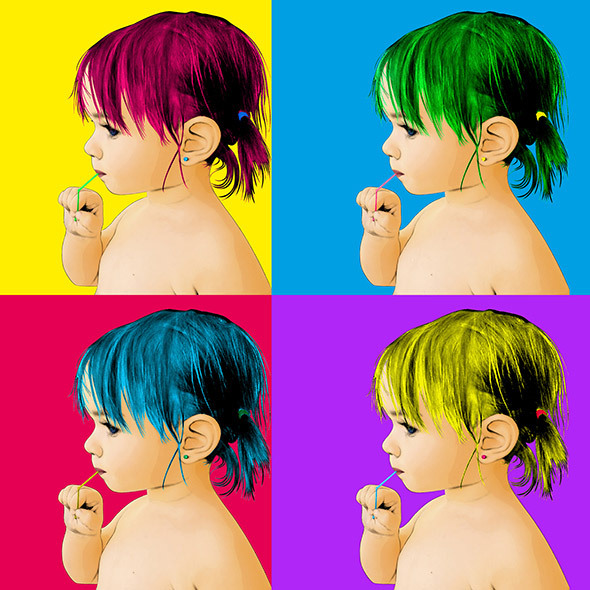 "This pop art canvas is the best gift my daughter received in some time. The details are just great! Awesome!" 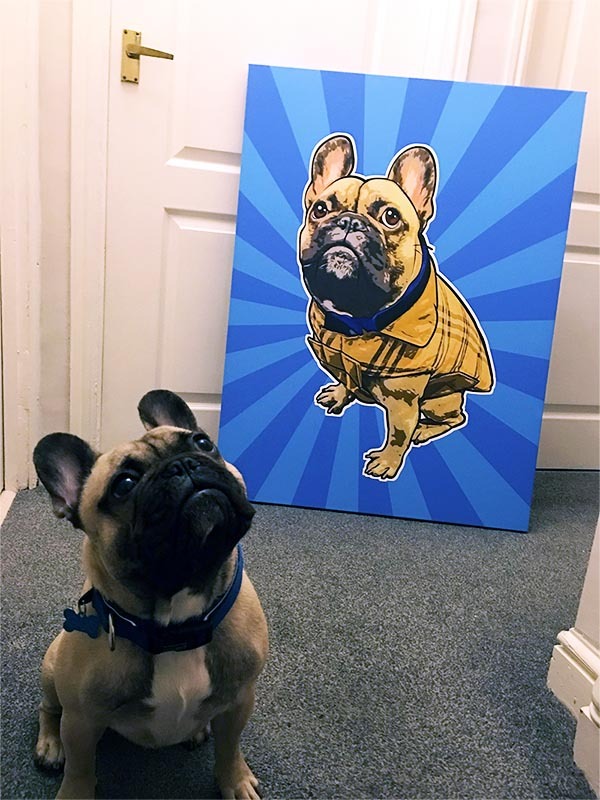 This picture was for my boyfriend of his French bulldog Gus, a dog is a mans best friend and always will be. I ordered an 8 x 10 inch gallery-wrapped canvas picture of my daughter (for her birthday) and was thrilled with the result! She was completely surprised and it even took her a minute to realize it was her! The vibrant colors, comic style coloring, and detailed lines give the original photo a creative, one of a kind look. Within just a few days, you’ll receive your piece of art. The processing and shipping time was extremely fast for me and the canvas arrived in perfect condition (with the hanger and screws included). Our pictures turned out perfect. Everything from the initial call to your company to the quick delivery was a great experience. My wife was very excited about the pictures your team did for us. The artist that edited our pictures did an outstanding job and were very easy to work with. We highly recommend your services to anyone in need of a special gift. Thank you for everything. Just received canvas today - looks phenomenal, purchased for an anniversary on January 1 and honestly don`t think I can wait to give it to him. SO EXCITED! Thanks for all the hard work! We absolutely loved our photo on canvas. The graphic is so detailed and looks great large scale! I could not be happier with the outcome. I love my canvas it turned out fantastic and captured her naughty/sweet look perfectly. I loved so much!! It made me cry. Happy tears of course. It was beautifully done. Thank you so much!! I am so thrilled with my pop art! It turned out gorgeous, and arrived in time for my birthday! So I would recommend this to anyone that is looking for a very special and unique gift for their friends and family. The colors in my art are so vibrant and beautiful, it goes so great in my "tiki" bar, which I have decorated in all bright colors. I really can`t say enough how much I love my picture! The only, teeny, tiny complaint would be that I wish it laid flat against the wall...it`s lays a little unevenly. But, I think that is a very minor thing considering how brilliant the piece is overall. I have received this product for free or at a discounted rate and this is my unbiased review. Our Pop Art prints are created by our talented graphic designers. We never use filters or computer tricks. Our artists and customer service team work with you throughout the process to make sure that you receive a one of a kind pop art that is special to you. Why don't you see the proof immediately? It takes our graphic artists a few hours to design your one-of-a-kind artwork. Do you want the color on the shirt changed on your pop art? Should your hair be a different shade of blue? Whatever edits you require, our graphic designers and customer service team work together to ensure 100% satisfaction. Your edits are carried out free of charge, and you can say that you have been part of creating a totally unique work of art. We understand the importance of a quality piece of art. That is why our customer service team works with you throughout the process to ensure that you understand the process and are able to make comments during the entire process. This is your pop art and you should be involved! You will be regularly updated on the status of your order and be able to contact the customer service team at any time.